Chicago police are reporting that 36-year-old Jussie Smollet from the television show ‘Empire’ was attacked on Jan. 29, 2019 in a possible hate crime. According to a statement from the Chicago Police Department, Smollett arrived in Chicago from New York and was walking on East North Lower Water Street to get something to eat at 2 a.m. CT. He was approached by two men yelling homophobic and racial slurs. The two men beat him and poured an unknown chemical on him. A source said the substance might have been bleach. The offenders continued to wrap a rope around Smollett’s neck and fled the scene. Smollett was able to bring himself to Northwestern Memorial Hospital. He was listed in good condition, and the extent of his injuries is unknown. The Gay & Lesbian Alliance Against Defamation (GLADD) released a statement saying GLADD reached out to Smollet’s management and FOX to offer any assistance which may be needed. Smollett is considered a champion and role model for the LGBT community and is loved around the world. 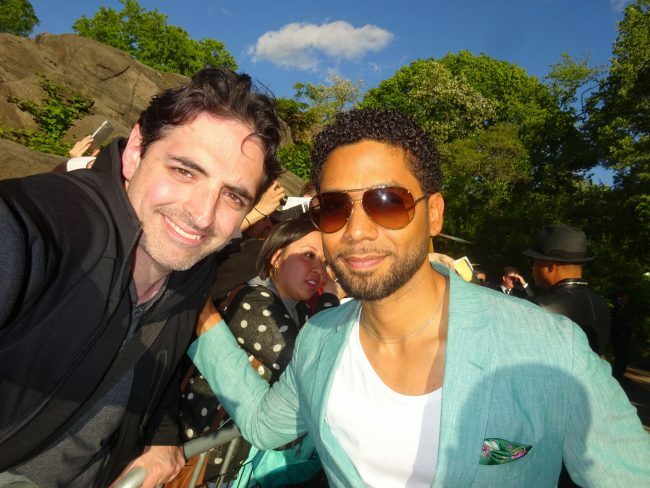 Smollett plays Jamal Lyons on “Empire,” the estranged son of Terence Howard who is a music-industry model. On the show, Lyons is a singer-songwriter is gay, and his family has difficulty accepting it. One Response to "Jussie Smollett ‘Empire’ Star Hospitalized After Possible Hate Crime"
Howdy! I just wish to give a huge thumbs up for the nice information you might have here on this post. I shall be coming again to your weblog for more soon.